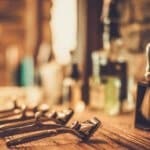 When Everything Is Said and Done, What Does The Beard Oil Comparison Graph REALLY Tell Us? There are a ton of beard oils out there. I mean a metric ton of them! So as a beardsman, how are you ever supposed to choose one? Based on some slick marketing? Peer reviews? Word of mouth? General ratings? Read great websites like this one 🙂 to get a detailed opinion? 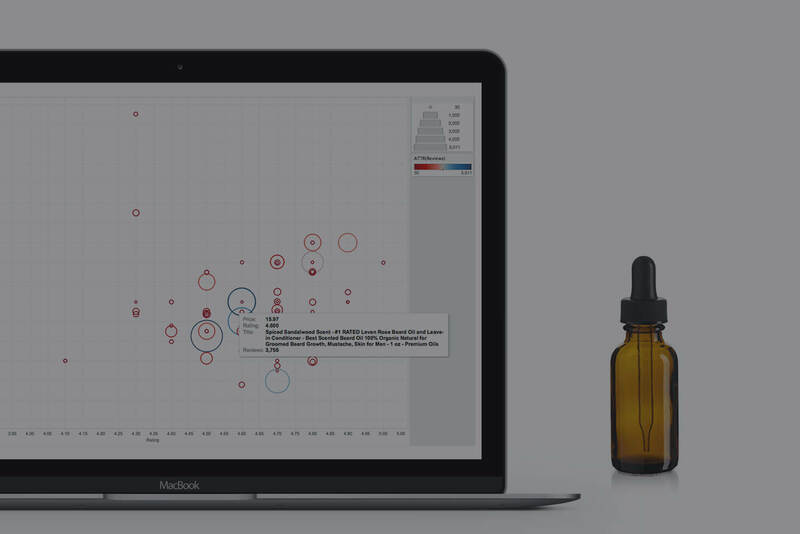 Sure all the above are definitely ways to discover and find great new beard oils, but what if did things a bit differently through the use of data. So the other night I was thinking just how exactly could I get an unbiased approach on beard oil reviews, ratings, etc and turn it into another epic post? I decided to turn to the largest online retailer, Amazon, brush off a few rusty programming skills and take full advantage of their API. 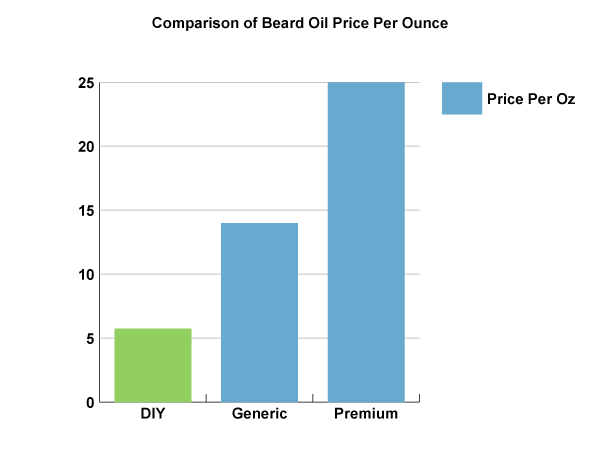 As evident in the graph above, of all the beard oils charted, the price of them fell between $4.99 and $35 for a bottle of beard oil. Ratings for all the beard oils were between 3.7 and 5.0 – as seen on the X axis of the graph. Lastly, the number of reviews are explained in two different ways, first off the circle size is directly tied to the review count. Meaning that the higher the review count equates to a larger circle. 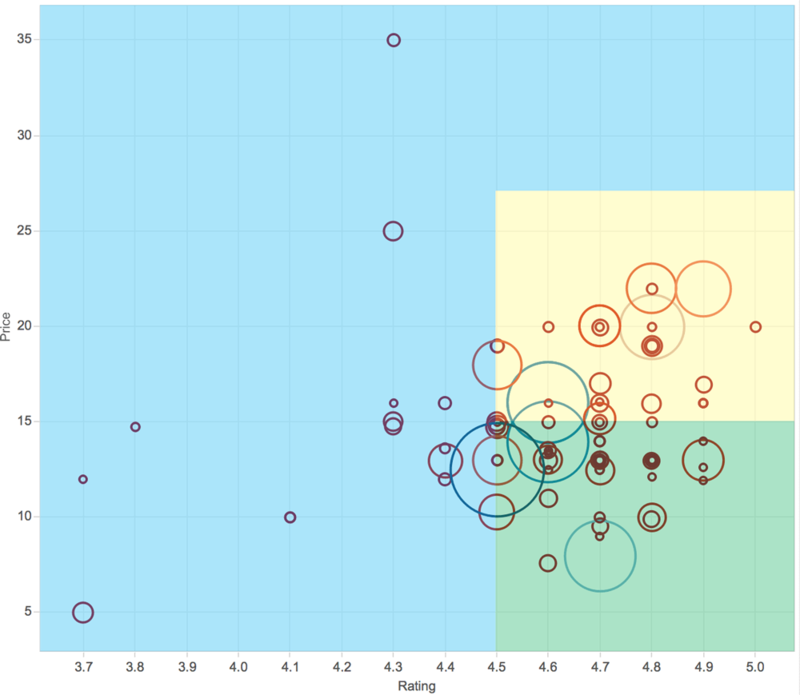 In addition, the diverging color scale between both red and blue is determined by the number of reviews. Therefore the higher the number of reviews the circle will be more blue in color whereas a lower review count is going to be red. When comparing beard oils the selection process is everything. 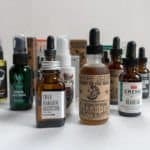 You see, there are a ton of beard oil vendors within the marketplace, in fact, we recently published a post that outlined some of the more popular ones. However, theres a problem when beard oil company are so scattered about – there is absolute no basis for comparison between them. As the old saying goes, you are effectively comparing apples to oranges. A review system for one beard oil company may be completely different than the other. For example, one might have a rating metric for the strength of smell on the essential oils and other may just simply rate the smell of the oil as ‘scent’ – simply put, there is no standardization. In addition, the actual scales used to measure certain dimensions might be completely different as well. One beard oil could be rated between 1 to 5 stars and another between 1 and 100. This makes normalizing the data pretty difficult and ultimately the comparison a whole lot harder/impossible as well! 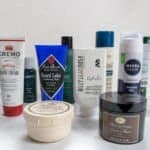 The last point to cover when looking at beard oil vendor sites is that much of the purchases are likely going to be by brand loyalists who have a huge affinity for that company. 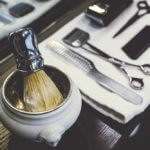 People who are fans of a company are likely going to skew the ratings in a much more favorable manner than those who are purchasing a bottle of beard oil passively or actively researching a bottle for the first time. Also when it comes to reviews on beard oil vendor sites, there could be instances of review censorship that would never be discovered when data mining. 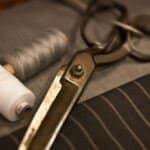 With some of these caveats, it made us turn to the largest online retailer that has an API that is queryable and most importantly – a standardized system of reviews, ratings, and prices – Amazon.com. I will be the first to say that Amazon.com isn’t perfect. But its the best solution thats currently available to compare beard oils together in order to get an idea of which one is objectively the best value. After much querying and analyzing of the data, we came up with a list of 80 beard oils. This was a subset of the 137 beard oils that we discovered on Amazon. So what happened to the other 57 beard oils? 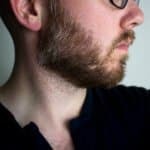 To try and best objectively compare the beard oils we took off any that were ‘Value’ packs (i.e. 4oz of jojoba oil), or those that bundled beard oils with combs, brushes, etc. We wanted to only compare beard oils that were 1oz in size. Secondly, just like the reviews posted on other websites, Amazon’s review process isn’t perfect. We are very aware of fake and compensated reviews that tend to show up. While I can’t say for other retailers, Amazon is putting forth the effort to fight fake reviews in order to have some integrity within the process – which is awesome for the consumer. In order to try and combat the fake review spam, we only selected beard oils that had at least 30 reviews. This way we would have prevent a bunch of beard oils with only a small handful of reviews giving it a perfect 5 out of 5 rating (which is oddly suspicious). Also when it comes to Amazon, there isn’t much for brand loyalty and beautiful website marketing to elicit higher ratings since folks will typically purchase based on product description or peer reviews. Therefore the user review may tend to be a bit more unbiased when compared to other sites. I went ahead and highlighted some key sections seen above. For the green section (less than $15 and a comprehensive review score of at least 4.5) in the lower right quadrant, these are going to be beard oils that are well worth taking a look into. You will find generally that the larger circles (larger circle = more reviews) in this area typically only contain a few ingredients – namely jojoba or argan oils. Really when it comes to beard oils this is everything that you really need. While essential oils do indeed provide some great benefits – carrier oils take up about 99% of the actual beard oil solution. This is why products in the green area tend to be both cheaper and highly rated. It’s the beardsmen saying “a ha, I don’t need to pay $30 for beard oil when I can get the same great benefits for only a fraction of the price”. Therefore if you are looking for a new beard oil, I would highly recommend checking out products in this area. For the yellow quadrant (greater than $15 and at least a 4.5 rating) these beard oils will likely have a lot more essential oils in them. One of the most expensive parts of making beard oil will be the essential oils. Therefore these manufacturers will naturally push the cost on to you making the final MSRP a bit higher. It’s not to say there aren’t great beard oils in this area, as we can plainly see in the strong ratings. 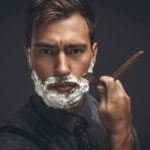 If you are a beardsmen looking for a beard oil that both delivers a great performance of reducing beardruff and itch while smelling awesome and in generally liked by others beardsmen, you will want to check out the products in this area. There are some awesome finds here that are definitely worth reading a bit more about. Last but not least the blue quadrant. First off I want to say, it’s not that anything is particularly wrong with these beard oils, however, as clearly evident from the other areas of the graph that we have covered thus far, there are simply higher rated and generally well received beard oils. 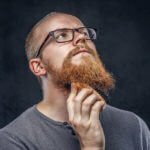 If you are currently purchasing beard oils within this area, it might be worth to hop over to the yellow or green quadrants to either find a better performing beard oil or one that is a bit more cost effective. Last but not least is one of the major caveats to this entire graph – the guys that like to get their hands dirty and do this stuff yourself. With just about anything in life, making it yourself is going to be a whole lot cheaper than paying for a bottle off the shelf. The cost for a DIY beard oil is at about $5.25 an ounce. 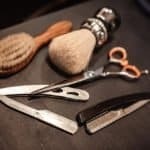 Sure you may have a higher setup cost, but in the long run you will be saving a bundle of cash on your beard while still getting many of the same great benefits. 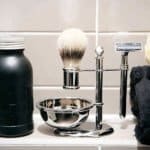 In addition to our entire guide, there is also a beard oil database that gives you plenty of starter recipes to get you up and running in no time! Simply put beard oil is largely a personal preference. Some guys like to stick with their go to product for years on end. People are creatures of habit and once they find a product they like, will stick with it. I mean why change a great thing right? This graph isn’t to dissuade beardsmen such as yourself of you current brands. If you like your current beard oil – then definitely stick with it! However, this was intended to easily visualize some of the other oils and what people generally tend to think of them. Overall I hope it provides some awesome insights!